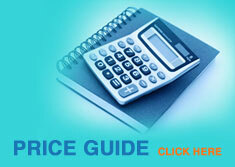 The above is a rough guide only to help you plan the website development. If you just wish to secure a site name to develop later or to stop others purchasing i.e. similar to your current site(s), call 01943 430776 and we will buy it for you. The cost will be from £10 for a .co.uk name. You then own the domain name exclusively for 2 years (to develop or sell on).